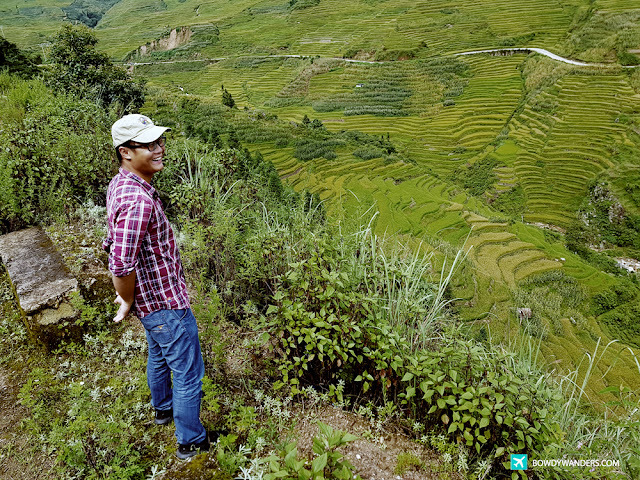 Have you ever imagined what it’s like living like a local in one of the most fascinating countries on the planet: China? Well, you arrived at the right place. No need to imagine further, because this lengthy post will just be about that. Funny thing is, there are a lot of countries around the world that have their own local language, authentic culture, and unbelievable places to explore, but truth be told – there is something so specific and so tangible about China that anyone (or everyone!) would at least dream about, even once in their lifetime. Yes, it’s that kind of bucket list worthy place, especially if it’s places that will get you that euphoric experiential adventures. Good thing, it’s possible and it’s about time to explore the distinguishing loveliness of Yunnan province in southern China. Growing up and wanting to experience what this diversely rich world has to offer, I remember using up all my savings (what’s new?) and calling the travel agency and deciding to book my very first travel tour from a legit and well-known travel company in the Philippines. This was way back when I was still studying. Everything about the travel and tour was cozy, comfortable, and oh so extra camera-friendly. The feeling of having a travel company prepare everything for you up to the very last-minute detail turned out like a luxury, a vice, a gamble… and it felt so good too! Every touristy place, bestseller food, and favorite experience we tried merited an inspirational travel post. 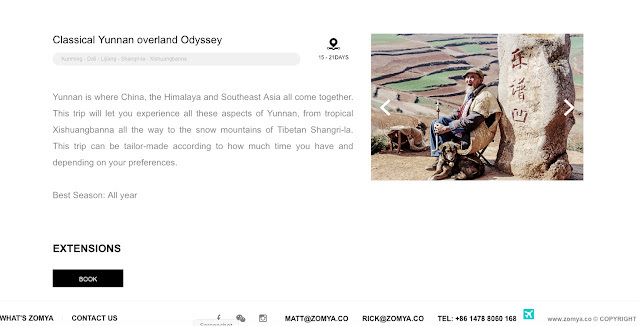 It was a Kickstarter to a perpetuate a state of wanderlust. So, after coming up with a master plan to travel some more, and more, and a whole lot more. I found myself stirring away from tour companies, and instead, relying on my Christopher Columbus skills in preparing all the places, food choices, and signature experiences of my travels. And of course, to be honest, even if it is a lot of work to prepare your own travel, it is a lot cheaper to do so, once you know the ropes of ideas on what to do. BUT. There is always a caveat. There will come a point when you will feel the need for some tours that are unconventional and off the beaten. Yes, you know what I am talking about! You know, the type that is not too touristy, the feeling of being at one with the locals without being too localized and still enjoying the privilege of being in a tour. 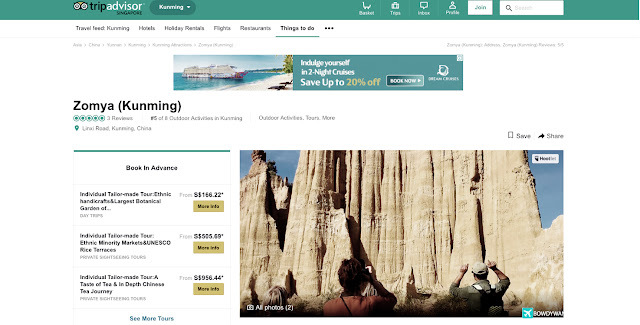 It’s like a middle ground between being a beginner traveler and a seasoned one. 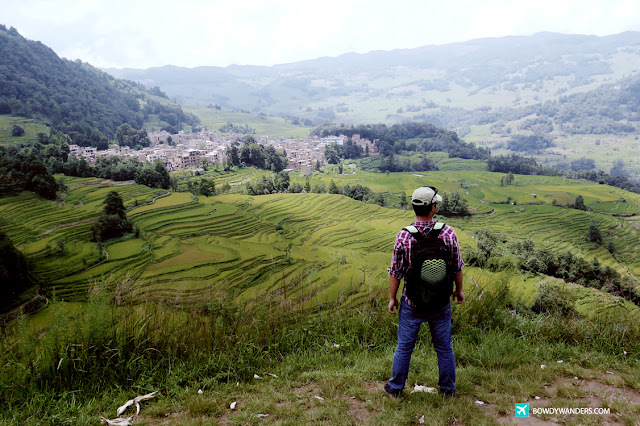 That’s the type of travel adventure that I started to yearn for when I managed to visit a country and city that is completely unconventional and unknown to me. You know, one of the biggest and most powerful countries on the planet: China. Yes, there is a need to get that middle ground here, so that you are centered and grounded with the surreal experiences that you can get in this amazing country. It is absolutely challenging to do so if you happen to be a non-native speaker of any form of Chinese language! The solution? 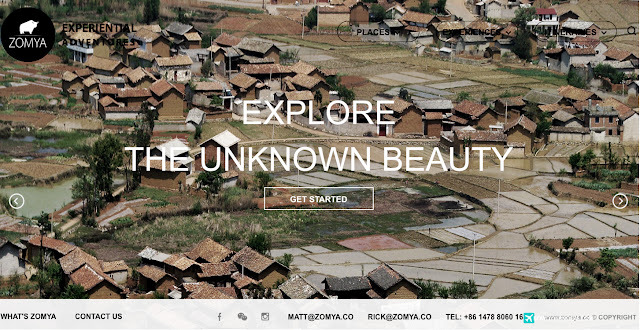 Well: Zomya.co. “Who is Zomya?”, you may ask and what are they doing differently that makes them worth the time, compared to the others out there. Well, this is the very same question I had, when I was deciding whether to go to Yunnan, China and try out their uniquely Yunnan experiential tours. As a travel blogger, I kind of have my own set of standards and stereotypes that are almost set in stone. So, I’ve learned that the best way is always to rely on your instincts as well. The first and foremost gutfeel decision I had to make was based from my research and communication with the Zomya team themselves. It gave me an instant access to how professional and how collaborative they are as a travel and tour agency, even if they are relatively young compared to other giant players out there. 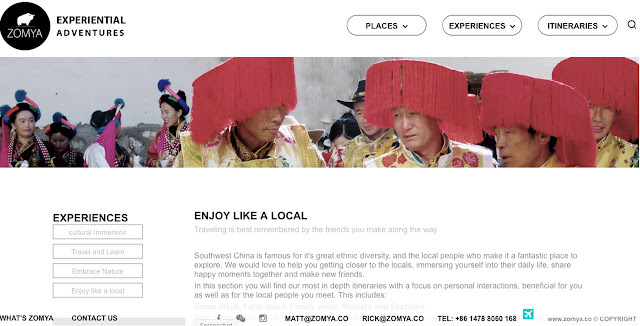 There is a sense of genuine care for recommending one-of-a-kind experiences that is tailor-fitted to a traveler’s personality, either through building connections between their local people or their historical cultures. 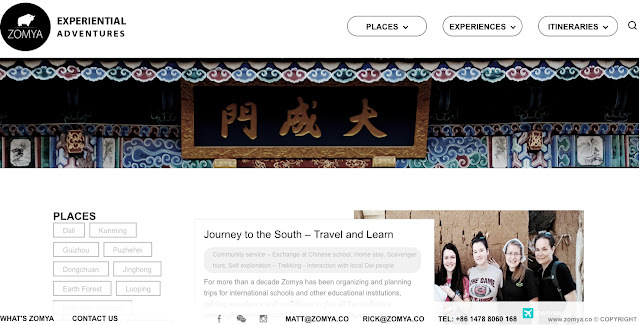 Here's a bit of a fun fact: Zomya came from two travel geniuses, one Belgian and one Chinese, who managed to meet and create a fraternal bond that is as strong and as long as the Great Wall of China. 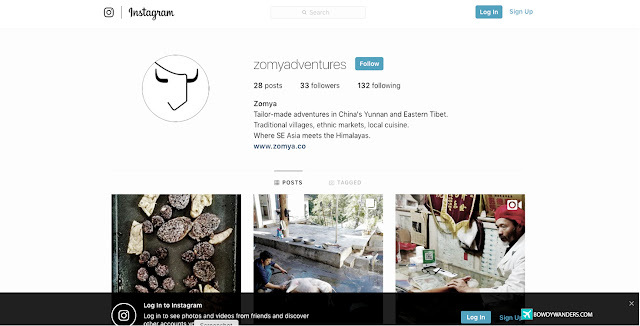 Their inimitable tandem of creativity, passion, determination, and inspiration allowed Zomya to grow and become tours that can be felt as authentic memories for travelers from all walks of life. 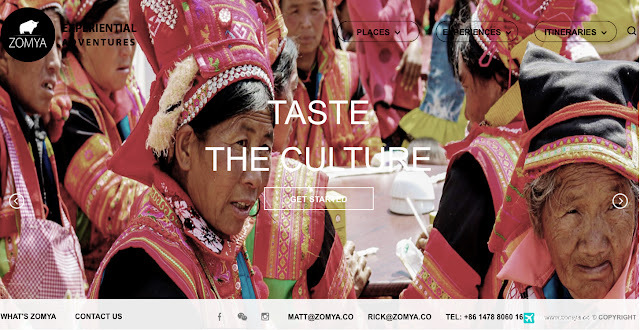 From places like Dali, Jianshui, Shangri-La, Kunming, Puzhehei, Mengzi, Dongchuan, and Honghe, every single spot that you visit with Zomya are guaranteed to have almost little to none – tourists. This is good, because it gives you a unique signature kind of understanding that can only be understood if you are alone with the locals, whom more often than not are super friendly, even if they could not speak a single word of English. You’ll see how powerful a smile and a bit of body language conversation can go a really long way in building trust and friendship. 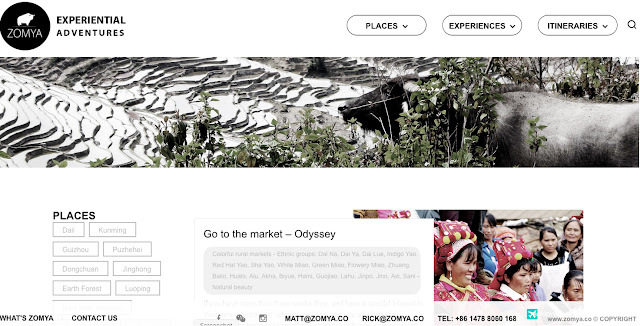 Likewise, the itineraries and experiences I’ve tried with Zomya are, in a lot of ways, very aligned with my priority and preference when it comes to traveling to a new place. This is very important because not only does it fit perfectly with how I want to enjoy my travel, but it also gives subtle yet significant hints of new highlights that I would never have thought of if I did my own planning alone. There is a lot of cultural immersion, traveling and learning, embracing nature, and of course, enjoying each moment with locals that are not there to sell you anything. 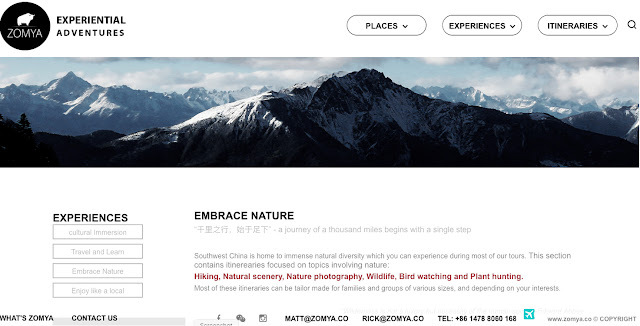 I’ve gotten a taste of homecooked food; I’ve rubbed elbows with ethnic minorities and participated in an ethnic tribe burial ritual, and even woken up with a blanket of clouds – all of these were made available, even in a lesser known Southwest China destination, is apparently possible! Wow, right? 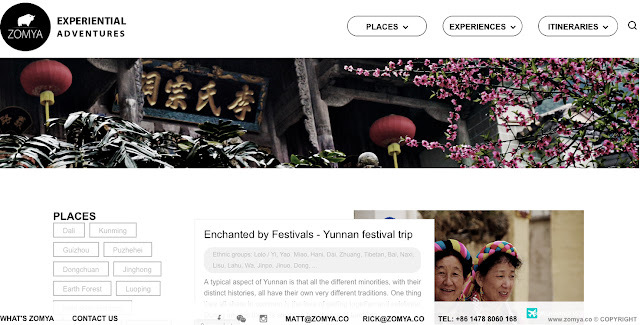 Enough gushing, more sharing of practical details about how you can get in touch with this phenomenal start-up kind of travel tour company based in Yunnan province, China. I told you that I am a fan of all things start-up and travel, right? So yes, they are still at their youthful stages, which is a really good thing, because you can expect more strengths to be added to their pipeline of destinations, itineraries, and add-ons. You can reach them via their official website, their Facebook page, their Instagram account, and of course, through TripAdvisor. 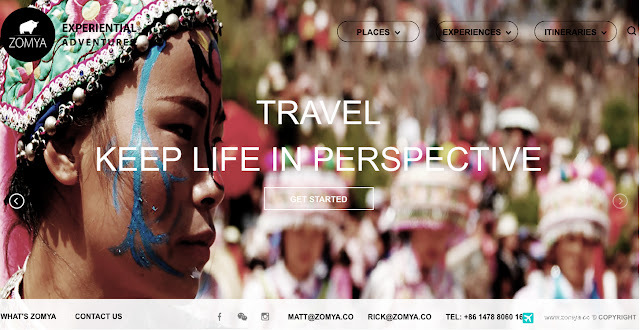 If you are a travel blogger, a landscape and cultural photographer, a senior citizen group of friends, a close family of travelers, an adventurist couple, or even a soloist wanting to explore a guaranteed precise and different kind of China, full of UNESCO landscapes, ethnic minorities, and cultural activities to experience – then I hugely recommend having a go with Zomya.Co. They know the ins and outs of everything Yunnan, and they can help convert you off-the-beaten kind of travel adventure into a check in your travel bucket list.